What Is the Likelihood That Europa’s Oceans Harbor Alien Life? We May Soon Find Out. It's high time to expand the search for extraterrestrial life. It’s one of the most pressing questions in science: is there alien life somewhere out there within the great wide demesnes of the universe—beyond the homely, terrestrial sort that we’re all familiar with? We’re still searching for the answer, but it seems that each day brings word of some new exoplanetary discovery that may at last resolve the issue—our technology has evolved to the point where we can now detect Earth-sized (note the distinction between “Earth-sized” and “Earth-like”) exoplanets residing in the habitable zones of their parent stars. But are we restricting ourselves—unnecessarily—with the fetters of a geocentric prejudice? The circumstellar habitable zone (HZ) merely represents that part of a planetary system where temperatures are conducive to the existence of liquid water—in other words, precisely where the Earth currently resides in the Solar System. Certainly, with everything being equal, a planet with these conditions in a star’s HZ would be habitable to terrestrial life as we know it—but whoever said that’s all we’re looking for? Furthermore, we know that the HZ isn’t static in time; as a main sequence star evolves, its temperature increases, and the zone of habitability sweeps further outward—which is something to consider for highly-evolved, red giant stars, as a recent study has shown. Putting aside the question of completely alien life, founded upon chemical organizations radically unlike anything we know, it’s not even clear that terrestrial-type life could only evolve upon an Earth-like planet within its star’s HZ. That’s where studying the icy moons of Jupiter and Saturn becomes important. Ever since the Voyager probes winged their way galaxy-ward, there’s been a great deal of speculation that Jupiter’s second moon, Europa, might harbor a warm, liquid ocean beneath its piebald shell of red-and-white ice; recent observations with the Hubble Space Telescope even suggest some of that water is escaping into space, in the form of geysers—akin to what we see on Saturn’s moon Enceladus. The existence of such an ocean on Europa is attributable to the intricate celestial mechanics of the Galilean Moons; this remarkable dance—choreographed across billions of years between Io, Ganymede, Europa and the prodigious mass of Jupiter—has squeezed and warmed Europa’s mysterious innards through the action of tidal flexure. It’s a bit like what’s happened to twisted, volcanic little Io—only with a far happier and less Dantean result. Now, it doesn’t necessarily follow that a motley assortment of marine monsters has evolved in Europa’s putative subglacial world-ocean—though we all prefer to believe that’s exactly the case. But there’s certainly reason enough to be hopeful. Life on Earth, for instance, needs water and a source of energy—the Sun, in most cases. But it’s also true that certain organisms, particularly in the deep oceans, derive their energy from purely non-solar sources; it’s even possible that the earliest life on Earth was of just such a type, at a time when the Sun’s radiation was far weaker than it is today. A recent study has shown that an exothermic chemical reaction known as “serpentinization,” whereby saltwater reacts with rocky minerals to produce heat and hydrogen, may be as common on Europa as in terrestrial oceans. Furthermore, the blistering radiation of Jupiter may be enough to separate oxygen atoms from water molecules in the moon’s icy mantle, with the oxygen then cycling deep into the interior. If correct, it means all the ingredients for a thriving ecosystem are theoretically in place; all that’s needed is the spark of life—unfortunately, ascertaining the likelihood of that happening is beyond our statistical models. 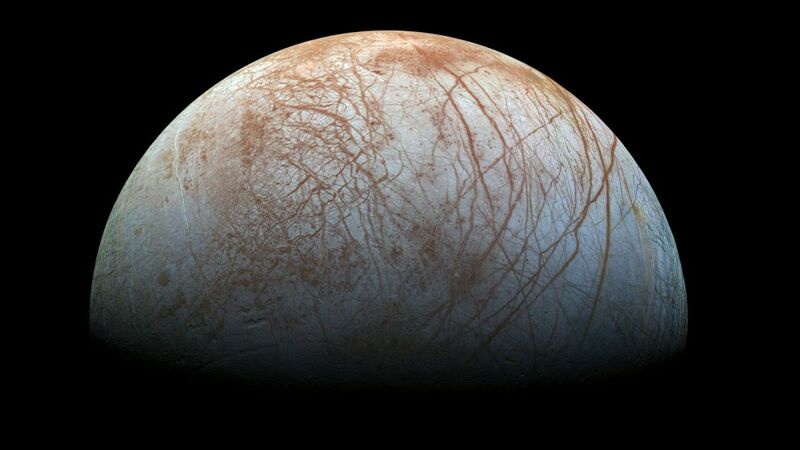 But plans are already afoot to loft a space probe toward distant Europa, this time equipped with a chemical tongue so the probe can pass through any water ice geysers the moon is discharging and “taste” the composition of its inner ocean. “Observations of Europa have provided us with tantalizing clues over the last two decades, and the time has come to seek answers to one of humanity’s most profound questions,” says John Grunsfeld, associate administrator of NASA’s Science Mission Directorate. 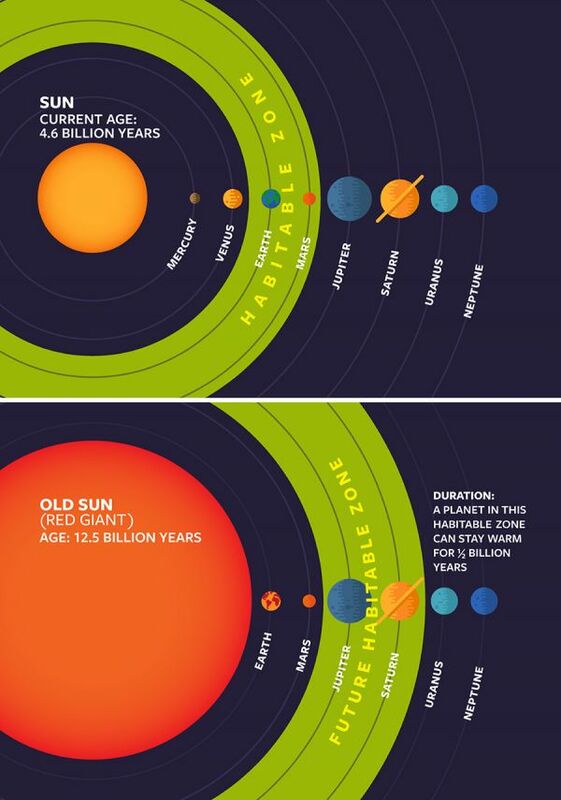 Regardless of what the probe discovers, it’s about time we start expanding our definition of what the “habitable zone” really means—in our own Solar System, as in the myriad exoplanetary systems swimming daily within our ken.